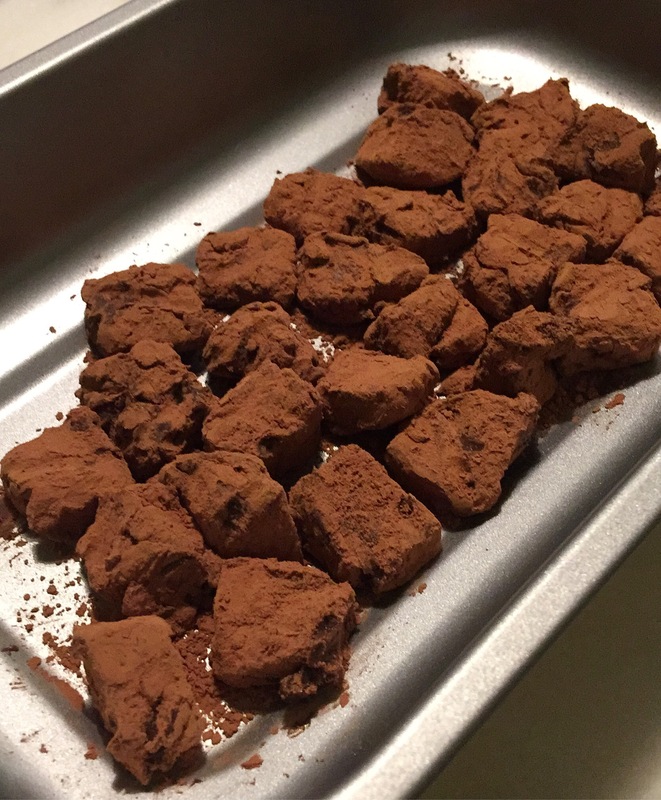 It’s my very first attempt at making a dessert, especially one that I like: chocolate truffles! I got this recipe from a part of Raymond Blanc’s Café Crème recipe, under the “ganache” section. Ganache is usually made by boiling cream and adding the chocolate of your choice to it, stirring until you get a smooth mixture! The recipe I used is 300g of semi-sweet chocolate chips (an alternative means of chocolate), and 300ml of double cream. I used chocolate chips as the chocolate bars were slightly pricey for me. But the best chocolate to use would have to be at least 60% dark or more. This is definitely worth a try as you can always add liqueur to the mixture as you see fit. This recipe, in my opinion, is quite flexible. I’ve added Bailey’s Liqueur into my chocolate mix before I chill it and tastes pretty good too! If you’re extremely adventurous, I would recommend infusing the cream with rosemary (for a start) and then removing the herb before adding chocolate in!